At Car Cash Point, we are rightfully proud to be the UK's favourite logbook loan lender - don't just take our word for it, take a look at some of our customer reviews. But we also recognise that logbook loans are an unknown for many people, some of whom will have heard of our reputation yet won't fully understand what it is we do. So, what is a logbook loan? 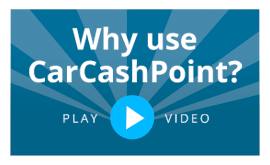 This blog will explain the Car Cash Point process and how it works. Logbook loans are essentially loans secured on a vehicle. The lender - in this case Car Cash Point - owns your car (or motorbike, caravan, van or other vehicle) until you pay that loan back. As the vehicle owner you will usually be asked to hand over the logbook (hence the name of the loan) or registration document to prove you are the registered keeper of that vehicle. The borrower can use their car or vehicle throughout the duration of the loan, and while the car is 'held' by the lender at this time, it is still the borrower's responsibility to ensure it is insured, taxed and maintained. If the car's MOT is due during this time, that is also the obligation of the owner. So too any repairs which might be needed. A Car Cash Point logbook loan is a way of providing almost instant cash for car owners, making funds of anywhere between £500 and £50,000 available at short notice. We lend up to 75% of the value of your vehicle, though the car or other must be under ten years old. And we will consider lending on cars with outstanding finance providing certain conditions are met. Repayments are usually weekly in arrears though a change to a monthly schedule can be discussed. The attraction of a logbook loan is that it's a quick and simple way to withdraw the cash from your car. If you need financial help quickly, this can provide a solution. It's an easy three-step process from telephone call - or online application - to receiving your money. Upon contacting us, a customer will have an instant no obligation quotation and the loan will be completed when one of our representatives either visits that customer, or the customer opts to come to our offices. It's a pretty straightforward procedure, though we appreciate potential customers may still always have questions. We're always available to discuss your own personal situation - contact us here. Learn more about our Logbook Loans here.